Moving is hard enough when you are just moving down the street – or even from Miami to Fort Lauderdale. However, when you are moving a few states away, or all the way across the country, it becomes an even bigger challenge. You can’t make easy trips back and forth between houses when you are moving thousands of miles away – you only get one chance to do it right. 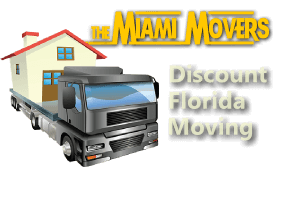 The Miami Movers offers relocation services to help you handle the overwhelming task of moving all of your belongings long distance to your new home or business. 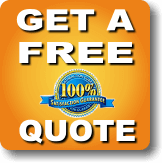 We can help with planning, packing, loading, and any other part of your move that requires assistance. To learn more about our relocation services, please contact us today! 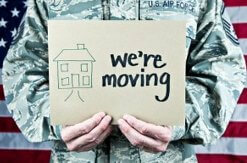 For members of the military, moving is nothing new. If your next move has you coming or going from the Greater Miami area, contact the Miami Movers as your trusted military GSA moving company. We have the experience and knowledge necessary to help you complete a stress-free move into your new location. We understand how busy and hectic military life can be, so we work hard to take care of all the details regarding your move. The Miami Movers has worked with many military clients over the years and we have learned the ins and outs of what is involved with a military move. You won’t have to worry about our team understanding your needs. Since moving as part of your military career is such a common occurrence, storage solution often become necessary. 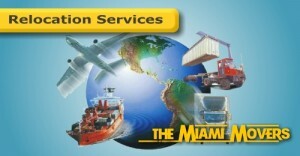 The Miami Movers is able to offer a dedicated storage warehouse facility for military members which is held to high standards in terms of security and cleanliness. We have a full team of packers, loaders, and drivers available to our military clients. To take a little bit of the stress out of your military lifestyle, contact the Miami Movers today. We are ready to jump into action for you and take care of all of your moving needs in and around the Miami area. We thank you for your service, and look forward to doing our part in assisting your next move.